A national group lobbying to legalize equity crowdfunding in Canada is sending its message directly to provincially elected politicians across the country. 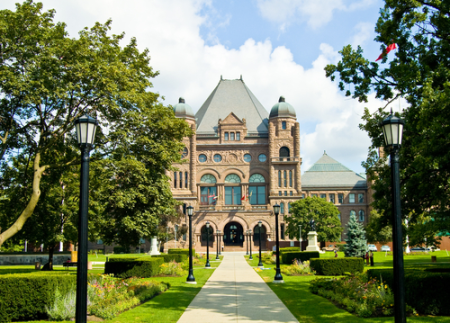 Starting this week, the Ontario wing of Invest CrowdFund Canada (ICC)is sending letters to Ontario MPPs asking for support to legalizeequity crowdfunding in Canada. Similarletter writing campaigns willfollow in British Columbia, Alberta, Quebec and New Brunswick. “Over the next 30 days I’m pretty confident we’ll have sent letters toapproximately 500 significant government stakeholders,” said ICC chairCindy Gordon. Though the recent passage of the federal JOBS Act made it legal forU.S. startups to raise equity investment through social media sites,legalization in Canada would require regulatory change in each provincebecause securities law falls within provincial rather than federaljurisdiction here. While securities regulators in Ontario and Alberta are now bothsoliciting public input on the issue, getting securities laws amendedstill requires bills to be introduced and passed in each provinciallegislature – something that only provincially elected politicians cando. “We’re trying to get support from the MPPs because we feel it is apolitical issue and it needs to be resolved at that level,” said FawnAnnan, Ontario vice-president at ICC. “We need the (provincial) politicians to take a leadership role just as(president) Obama took a leadership role in the U.S.,” said Annan, whois alsopresident and group publisher at IT World Canada, ITBusiness.ca’sparent company. The letter campaign follows two crowdfunding lobbying efforts in Juneby the Canadian Advanced Technology Alliance: an online petition and anopen letter to federal industry ministerChristian Paradis. Afterletters go out to provincial MPPs and MLAs over the next few weeks, ICCplans to send a secondbatch of letters to top Canadian tech CEOs. “When CEOs pay attention to something like this, the politicians payattention because they’re the ones driving new investment and jobcreation,” Annan said. Although former Newbridge Networks CEO Terry Matthews has already lenthis visibility to the crowdfunding lobby and Entrust co-founder BradRoss is an active ICC member, Gordon said she would like to see morehigh-profile tech executives show their support. It’s a cause tech CEOsshould back, she said, because crowdfunding might help keep moreCanadian startups in Canada. “(Canada) had 35 or so (startups) acquired last year. We’ve got thehollowing out of the tech sector. Our technology CEOs really do need toget involved and sign the petition, be meeting with regulators in theirlocal jurisdictions and be, fundamentally, ambassadors to the country.So they’re our next rallying cry,” Gordon said. The key argument from Canadian crowdfunding proponents is thatlegalization in the U.S., Australia and Britain gives startups in thosecountries an unfair advantage over Canadian startups in raisingfinancing. “With the pace of change in other geographies, Canada risks losing ournext generation of leaders to more supporting funding environments likethe USA, UK and Australia whose governments have legalized investmentcrowdfunding,” the ICC’s letter to Ontario MPPs states. “The end game here is to increase Canada’s competitiveness. We havegood infrastructure here but the weak spot is we’re not taking goodadvantage of our fundamentals. We often fail to commercialize goodideas into the marketplace. Equity crowdfunding is about growth,”Gordon said. Canada slipped two spots to fourteenth in the World Economic Forum’slatest global competitiveness rankings released on Wednesday.